It is probably safe to say that raisins were discovered by man the first time he found them accidentally dried out on the vine. But it took several hundreds of years before he determined which of the 8,000 varieties of grape genus would produce the best raisins. The process of drying fruit in the sun is accredited to the Persians with early written references to drying black grapes for raisins dating back to over 2,000 years ago. In 1876, William Thompson, a Scottish immigrant who emigrated to the US and living in the Northern Sacramento Valley, introduced the Lady deCoverly seedless grape cuttings to California. Today, Thompson Seedless is one the most widely used raisin variety in the packing trade. 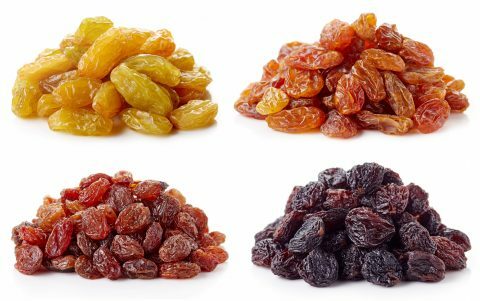 USA, Turkey, Chile, South Africa and to a lesser extent Mexico, Argentina and Australia are also important exporters of raisins around the world.